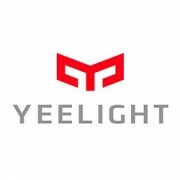 The Yeelight multi-color smart light bulbs unlock the extraordinary potential of smart lighting to give you beautiful, comfortable and adaptive illumination with greatly simplified intelligent lighting controls. 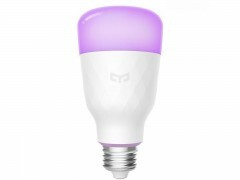 The RGBW LED bulb is designed to enhance your everyday life with adjustable whites and colors. 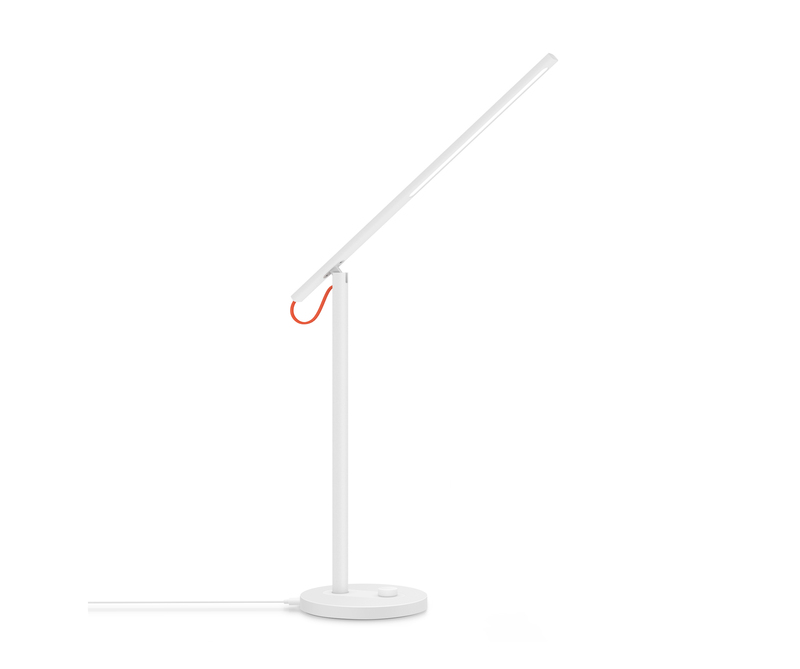 Light has never been so wonderful and lighting has never been so networked. With all shades of white light and a palette of unlimited colors to choose from, every moment in your living space can be transformed into a unique experience. The Wi-Fi controllable light bulb allows you to create your own personal light show and replicate the visual comfort and biological benefits of natural daylight from the palm of your hand. With a sleek, modern design that fits seamlessly into all medium screw base fixtures, the Yeelight smart bulbs upgrade your standalone or "dumb" table lamps, floor lamps, ceiling lights, pendant lamps, wall lights, and even recessed downlight fixtures into connected smart light fixtures in a breeze. The light bulb uses high quality white and RGB LEDs to produce 800 lumens of white light (@4000K) and up to 16.7 million of additively mixed colors. These surface mount LED packages are reflow soldered to a thermally efficient MCPCB with high operating temperature capable interconnects. The LED module is thermally interfaced with an aluminum heat sink which provides excellent thermal management in conjunction with the aluminum housing overmolded with thermal conductive plastics. An opal polycarbonate diffuser that offers impact resistance and tolerates long-term heat exposure provides excellent diffusion of LED hot spots and softens the harsh point light sources while maintaining high transmission efficiency. The power electronics, control circuits and communication module is integrated on a PCB which is vertically mounted to the bulb base and glue potted. The constant current driver accurately regulates the forward current flowing through the LEDs with a balanced current waveform to ensure flicker-free lighting and smooth dimming. The LED driver is rated for 50 to 60Hz at universal 100V-240V input. The on-board wireless communication module that supports Wi-Fi IEEE 802.11b/g/n standard at 2.4GHz offers robust network connectivity with a reach of up to 30 meters. The bulb is controlled via Mi Home app or Yeelight app from your iOS or Android smartphone over your home Wi-Fi network without the need for a dedicated lighting control gateway. Precisely controllable color mixing of red, green and blue LEDs in various degrees of saturation offers endless possibilities to enhance your environment. The app offers a WYSIWYG (what you see is what you get) color wheel that allows you to create atmospheric light at the touch of your fingers. You also have the interactive photo color picker which allows you to set up the colors from your favorite photos or pick up colors from the camera on your phone. Set up colors with different durations and transitions in the Flowing Color mode. A collection of preset flow/color profiles are available to get you a quick start. The music synchronization feature takes your color experience to a new level by automating color changes to the beat of your favorite songs. The tunable white light bulb offers a full range of warm to cool whites that allows you to simulate natural daylight in conjunction with the bulb's deep dimming capability. Adaptive lighting with the perfect balance of color temperature and intensity harmonizes all the three levels of light (visual, biological and emotional) that supports the human circadian rhythm. The intuitive app offers the fingertip adjustability to create different ambiences support your daily activities. Whether to increase motivation, promote concentration with high CCT cool whites or to encourage relaxation and regeneration with low CCT warm whites, intelligently controlled light allows you to harvest the benefits of human centric lighting for greater quality of life. The Mi Home and Yeelight apps offer you seamless control of the light bulb. 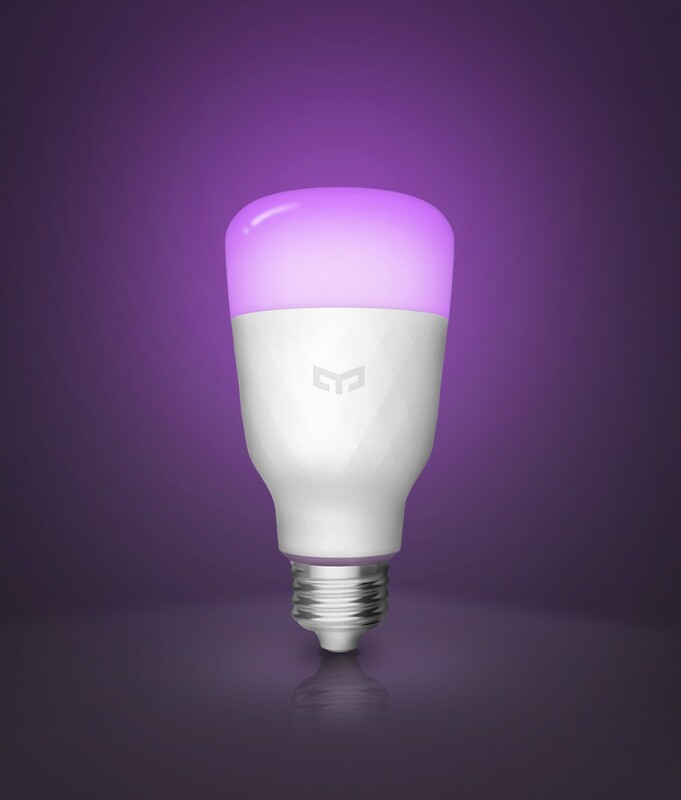 Turn on/off light, adjust the brightness, create colors and whites, operate on a schedule, save your favorite settings, or set a timer... Every feature you expect from a multi-color smart bulb is available on this bulb. Control lights individually or in groups and enjoy precise lighting control from anywhere. The smart light works with voice control platforms such as Amazon Alexa, Apple HomeKit, MIJIA, and Google Assistant. IFTTT applets are available to trigger your lights based a variety of events. Integrate the Yeelight smart bulb into your Domoticz system for event triggered automation. You can also automate your lights based on any Tasker trigger. Wi-Fi built-in to the bulb, no hub required. Feature-rich app offers CCT tuning, intensity control, color picking, scene creation, music synchronization. Infinite color options with high performance RGB color mixing. Tunable whites from 1700K to 6500K. Works with Amazon Alexa, Google Assistant, Yeti, Tasker and IFTTT. High quality LEDs with high flux density and luminous efficacy. Superior thermal management prevents performance degradation.